Equity income funds are popular with our clients. Most aim to generate a rising income, and increase the value of your original investment over the long term. Equity income funds are popular with our clients. Most aim to generate a rising income, and increase the value of your original investment over the long term. The income can be paid out, or reinvested in the fund to boost long-term growth. Different fund managers take different approaches to income investing. Some focus on larger companies that are seen to be more stable and have paid regular dividends for many years. Others invest in higher-risk small and medium-sized companies. These might pay a lower income to start with, but have more growth potential. We like the simplicity of equity income investing. Investing in a dividend-paying company means you align your wealth with theirs. You're entitled to receive a share of any profits paid out as dividends. The best companies will grow their profits and dividends. Not all companies will be successful though. This is why we like equity income funds. An expert fund manager invests in a range of companies. This reduces the impact of one getting into trouble. It’s less risky and more convenient than trying to choose individual shares yourself. Interest rates are still close to historic lows. They're unlikely to rise significantly in the short term. So the prospect of regular dividends from some of the UK's most successful companies is attractive. Dividends are clearly important for income investors. But they're just as important for those who want to grow their investment. If you don't need the income now, you can reinvest the dividends to buy more shares. This means you get even more dividends in future. Repeating this process over a long period is a tried-and-tested way to grow your wealth. We think equity income funds can provide the foundation of almost any investment portfolio. Keeping enough cash is important. But an income fund could be considered for savings that aren't needed in the short term. Investments aren't secure like cash though, and will go up and down in value, so you could get back less than you invest. The UK Equity Income sector hasn't performed as well as the broad UK stock market over the past year. A small number of companies made a large contribution to the market’s performance. Managers not invested in these companies will have found it hard to beat the index. Equity income funds have historically focused on companies that pay more reliable dividends. Many of them sell goods or services that consumers buy time and time again. Pharmaceuticals, tobacco, utilities and telecoms companies, for example. Healthcare companies, which include pharmaceuticals, have been a particular bright spot during the last year, having delivered attractive returns. Funds invested in this part of the market should have benefitted. On the other hand, telecoms and technology have not been good areas to be invested in and will have dragged on the performance of funds invested there. Medium and smaller companies tend to perform better than larger companies over the long-term but bigger businesses have bucked that trend recently. This isn’t surprising as we’ve seen volatility increase. Some investors prefer larger companies during times of stress as they think they’re more likely to have the financial clout needed to ride out difficult conditions. There are no guarantees though. Equity income has been a good way to grow investors' wealth over the long term. Companies that pay higher dividends have tended to outperform lower-yielding companies, but there have been times when the reverse is true. We think this style remains an attractive way to invest over the long run. Past performance is not a guide to the future. Source: Lipper IM to 31/12/2018. Data correct as at 31/12/18. Please remember past performance is not a guide to future returns. We regularly review all the major investment sectors. Here we provide comments on a selection of funds in the UK Equity Income sector. They're provided for your interest but not a guide to how you should invest. If you're unsure if an investment is right for your circumstances please seek personal advice. Comments are correct as at January 2019. Each of the funds below can take their charges from capital. This can increase the yield but reduce the potential for capital growth. All investments can fall as well as rise in value so you could get back less than you invest. To view a full list of our favourite funds within the sector, visit the Wealth 50. There is a tiered charge to hold funds with HL. It is a maximum of 0.45% per year. Here you can view our charges. The fund has performed in line with the UK Equity Income sector recently. It’s relatively high exposure to financial and consumer service companies had hampered performance. But the managers still think financial companies like Legal & General and Aviva are paying attractive dividends though. They’re maintaining a relatively large investment in the financial sector for now. Earlier in 2018, Andy Marsh joined Nick Shenton and the highly experienced Adrian Frost as a manager of the fund. 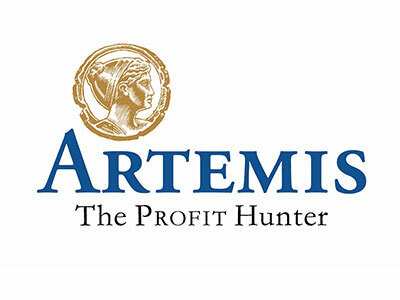 We’ve rated the Artemis Income team highly for a long-time. The manager looks for companies that are out of favour with investors but have talented managers and enough financial strength to see them to better times. The fund has done better than both the sector and broader stock market in the last year. Investments in pharmaceutical companies GlaxoSmithKline and Astra Zeneca have been a particular bright spot. The fund’s recent performance adds weight to our analysis showing it often falls less than others when the market’s having a tough time. We think Ben Whitmore’s a great fund manager. He’s done well to beat the stock market during a period his sector’s underperformed it. 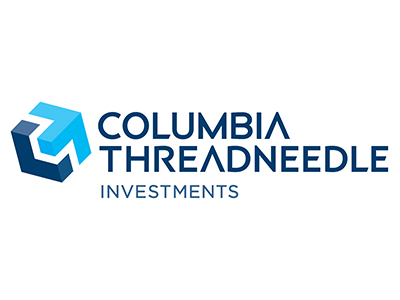 This fund focuses on higher-risk small and medium-sized companies. We think this boosts growth potential and means the fund could sit well with one focused on larger firms. Small and medium sized companies have not performed as well as larger ones recently. The fund’s underperformed the sector as a result. It’s normal for small and medium sized companies to have periods when they don’t perform so well. We think that over the long-run they have a good chance of beating large companies but they’ll be bigger ups and downs along the way. The fund is managed by Siddarth Chand Lall, who we rate highly. He also has the support of one of the UK's most experienced smaller company investment teams. The fund aims to generate income and growth by investing primarily in small and mid-sized companies. They often grow faster than their larger counterparts but are higher risk. Small and medium sized companies haven’t done as well as larger companies recently, making it a tough year for the fund. Over the longer-term, medium and smaller companies have outperformed larger ones. This has been the driving force behind the manager’s admirable long-term track record. We think it’s a good fund for exposure to small companies but prefer funds where the managers have a stronger record of selecting the best performing companies from that section of the market. The managers combine their outlook for the wider economy with analysis of individual companies. They aim to provide an income that’s consistently higher than the broader UK stock market although this isn’t guaranteed. Like many of the better performing UK Equity Income funds of the last year, its returns were aided by healthcare and oil and gas investments. They helped it beat the sector. Investments in consumer services companies such as Greggs Plc and Compass Group also added to what was a solid year for the fund. The managers keep the fund’s investments closer to those of the benchmark index than many. So it’s likely to experience lower levels of both underperformance and outperformance. A fund that takes a total return approach – it aims to deliver income along with growth in the value of the fund. The fund performed better than the UK Equity Income sector in the last 12 months. The outperformance was helped by investments in larger dividend paying companies, particularly in the healthcare and oil and gas industries. The fund has a holding in Hargreaves Lansdown plc shares. Over the years, the manager has shown a bias towards medium sized dividend paying companies. It’s an area that’s performed well for the fund in the long-term. We think it’s a good fund managed by a capable team but there’s others in the sector we prefer. The Woodford Income Focus Fund is moving from the IA Specialist sector to the IA UK Equity Income sector. Markets have been challenging but Richard Colwell is positive about the prospects for UK companies. We like that this fund does something different to a lot of other income funds. In our latest update you can find out more about the fund following a recent meeting with Siddarth Chand Lall, the fund’s manager. Equity income investing is a simple concept, but it’s not easy to do. In this update, we look at how one of our favourite managers does it.